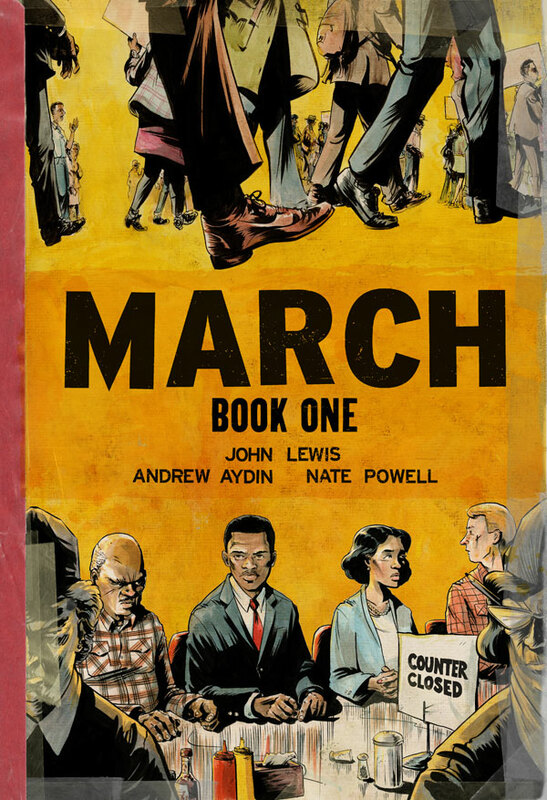 March: Book One is the first part of a trilogy that depicts the life story of Congressman John Lewis, from his modest early days at a farm in Alabama and leading up to its most defining moment: the March on Washington for Jobs and Freedom on August 28, 1963. As the chairman of the Student Nonviolent Coordinating Committee, Lewis was one of the March’s leaders – its high point being the legendary “I have a dream” speech by Martin Luther King, Jr. – and this Top Shelf graphic novel will give you a unique insight in both this historic event and the fight for Civil Rights like you have not seen before. 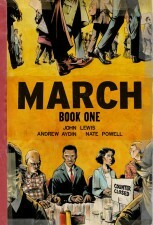 March is co-written by Congressman Lewis and Andrew Aydin, Lewis’s press secretary during his 2008 re-election campaign, with Nate Powell of Swallow Me Whole and Any Empire fame on art. The Avengers. The New Avengers. The Illuminati. The Builders. Thanos. The potential destruction of the universe. For fans of Earth’s Mightiest Heroes and everyone who wants to know where the seeds Jonathan Hickman’s been planting since the start of Marvel NOW! have been leading up to, Infinity will hold all the answers. 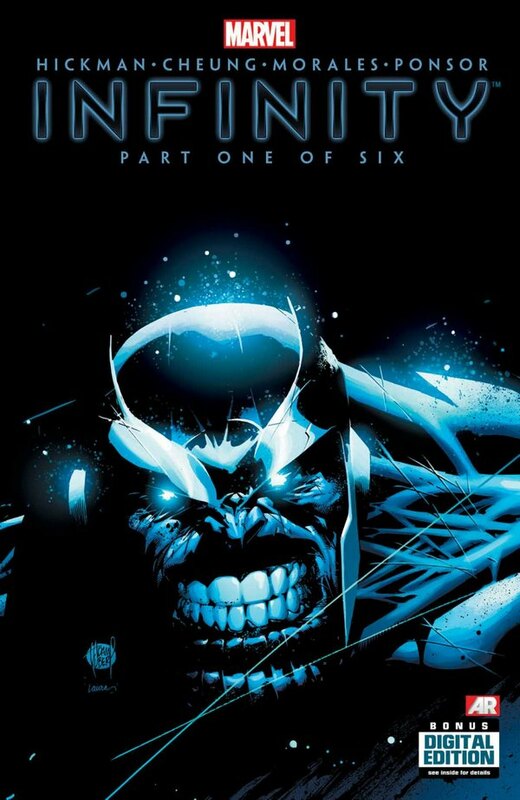 Coming with a “Nothing lasts forever.” tagline, Infinity is Marvel’s first true event book of 2013 after the letdown that was Age of Ultron. Hickman knows how to pull off big world epics (just reread his Fantastic Four run), so buckle up and prepare for the Marvel Universe to be shaken up pretty badly. Assisting Hickman on this adventure are artists Jim Cheung, Jerome Opeña and Dustin Weaver, who’ll make sure that whatever the writer’s concocted will look awesome on the printed page. 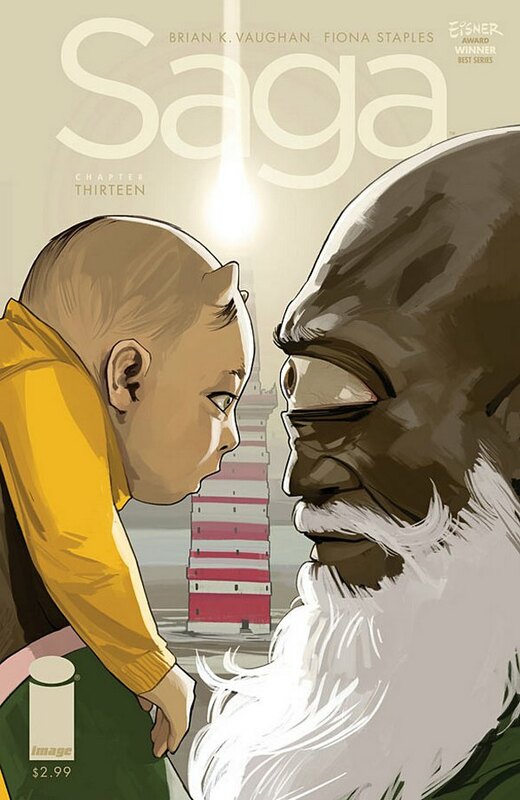 Fresh from its Eisner success, Saga is back after a four month hiatus to put an extra spring in your step for your trip to the comic shop. Vaughan and Staples continue to produce the best comic going, thank god they’re back. Lets hope they’ve got enough under their belts to make it a good long while before they need another break. 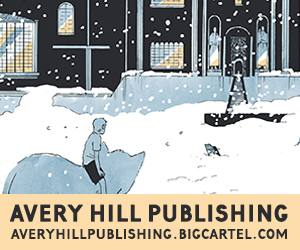 In this issue, Hazel and her parents head to the planet Quietus in search of cult romance novelist D. Oswald Heist while The Will comes to terms with his two new companions. It also features probably the best baby in one hand, mace in the other, fight scene you’ll see this year. Unmissable. Dan Boultwood’s four-part miniseries starts now. 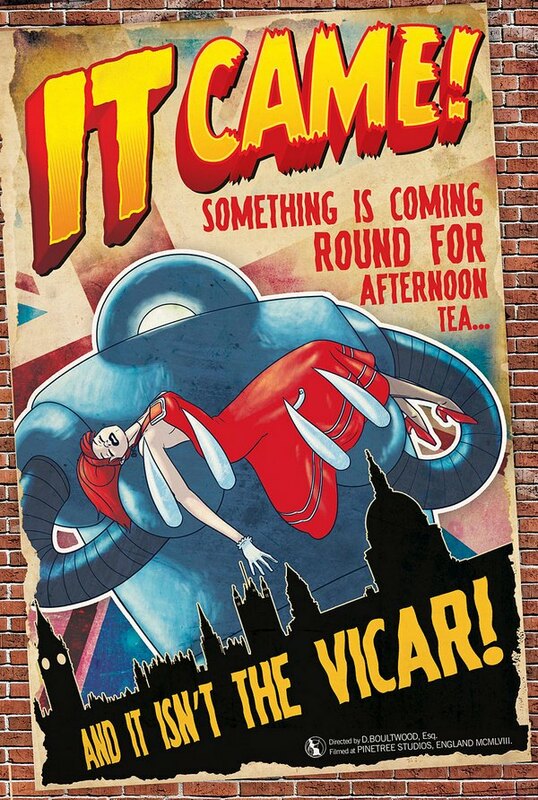 Spearheading the launch of Titan Publishing’s new American comics imprint, It Came… is here with a healthy dose of classic sci-fi adventure. Written in the style of 1950s B-movies, this comic follows the story of astronomer Dr. Boy Brett and his beautiful assistant, Doris Night, as a trip to the countryside goes horribly wrong with the arrival of Grurk, a murderous robot from outer space bent on the subjugation of humanity. Built around the premise of a lost film “rediscovered” among the archives of an English film studio, It Came… delivers a new yet nostalgic take on low-budget genre movies of days past, albeit with a uniquely sardonic twist. When Paul Cornell took on Wolverine, it was with the clear intent of making him more mortal than ever before. 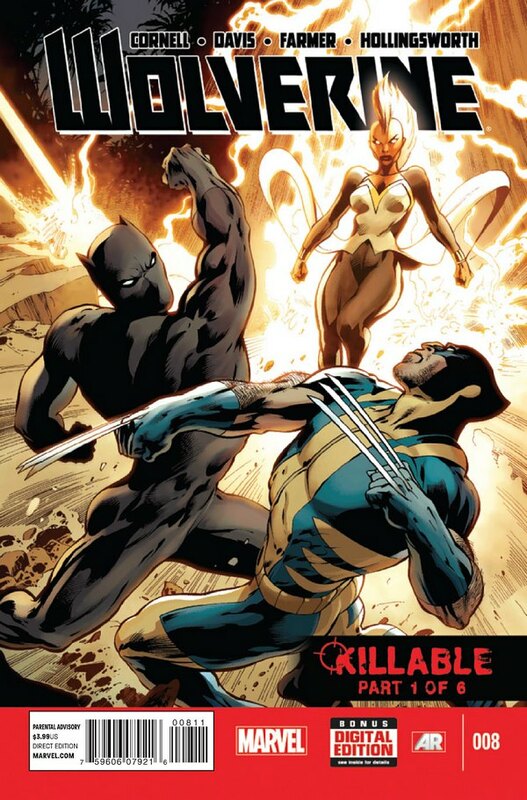 In issue #6, Logan lost his healing factor, and issue #7 saw him deal with the consequences of what his life will look like from here on out. It doesn’t take too long for word to get out that Wolverine’s blood can be had, and several of the Marvel U’s nasties go hunt for him – some because they want the bounty on his head, others because they simply want to see him suffer. Be there as ‘Killable’ kicks off in earnest. 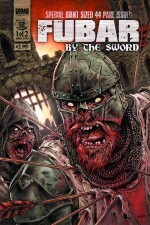 Zombies are taking over the Middle Ages in the latest installment in the New York Times bestselling series FUBAR. 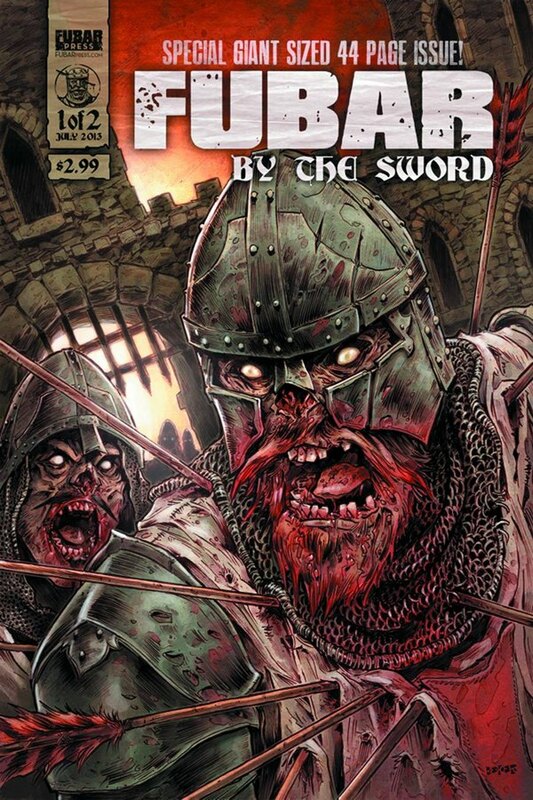 Featuring a quintet of stories from a creative cast of thousands that includes Chuck Dixon and Steve Becker, FUBAR: By the Sword takes zombies on a medieval killing spree, bringing the epic scope of high fantasy together with the street-level terror of the brain-hungry undead. For fans of the FUBAR books, and for zombie fans in general, part one of this giant-sized two-part miniseries is surely a must-read. The Silver Age comes alive in all of its simple, sleek glory when the legendary T.H.U.N.D.E.R Agents explode into action in the beloved franchise’s latest relaunch, courtesy of IDW. 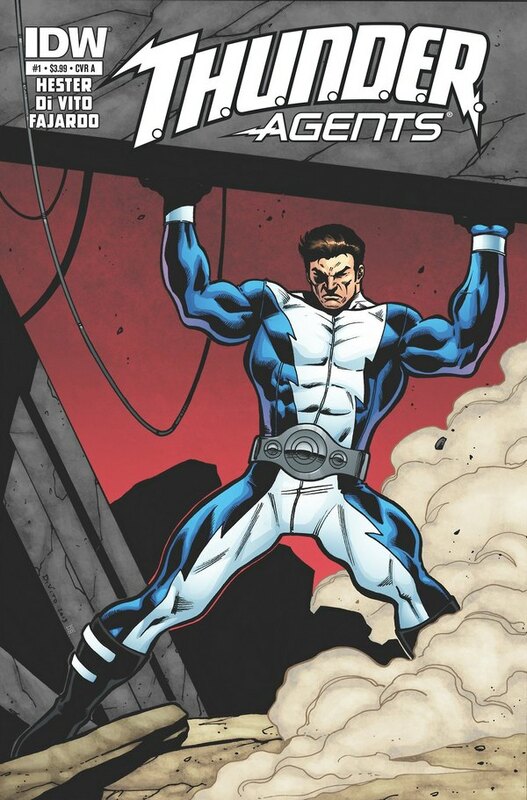 Fan-Favorite creators Phil Hester and Andrea Del Vito introduce an all-new unit of doomed superhuman operatives built around the lone surviving member of the original team, No Man. 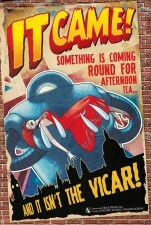 Promising plenty of nods to the original series, while blazing new trails relevant to a modern audience, Hester and Di Vito’s homage to Len Brown and Wally Wood’s ground-breaking superhero team seems supremely positioned to finally garner the T.H.U.N.D.E.R Agents the recognition they deserve. Featuring a slick Jerry Ordway cover!